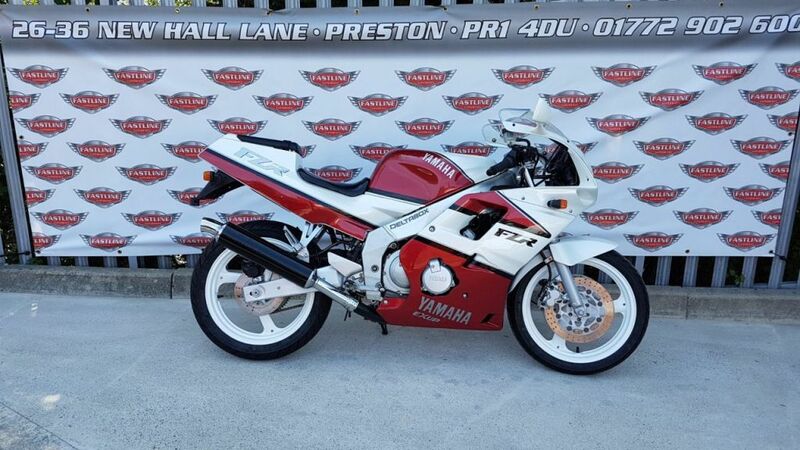 Fastline Superbikes are pleased to offer this outstanding rare Yamaha FZR250RR Ex-Up, 3LN model. Last model with projecting headlamp. Built to a very high specification for the Japanese domestic market. Delta-box chassis, in-line DOHC, 16 valve, 4 cylinder, 4 stroke, water-cooled, Ex-Up exhaust valve for low speed acceleration, 45bhp @ 16000rpm red-line. Outstanding machine, no expense spared, over £1500 spent to get to collectable and rideable condition. Will come serviced, MOT till 20/5/2019, 3 mths warranty and fully gone through by our factory trained technicians. Buy with confidence from family run business since 1988. Finance and worldwide delivery on all our motorcycles, call for quote.